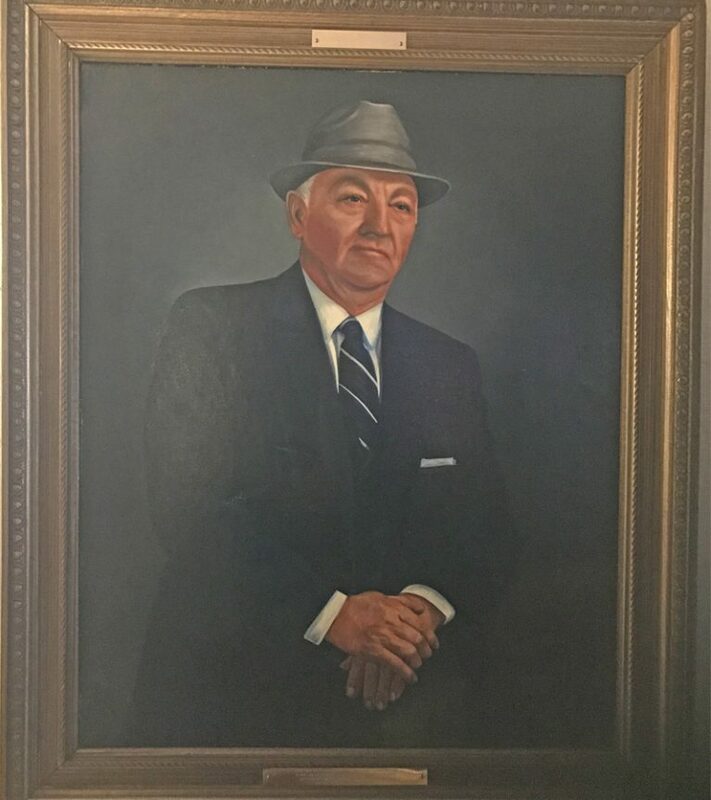 Martin Oil Company was founded in 1962 as George O. Martin and Sons, Inc.. George O. purchased a small Tidewater distributorship in Bellwood, Pennsylvania. He was soon joined by his three sons, and the business began a long period of expansion. Now in our fourth generation, we're still family owned and operated. In the 1980s, Martin Oil Company ventured into convenience stores. 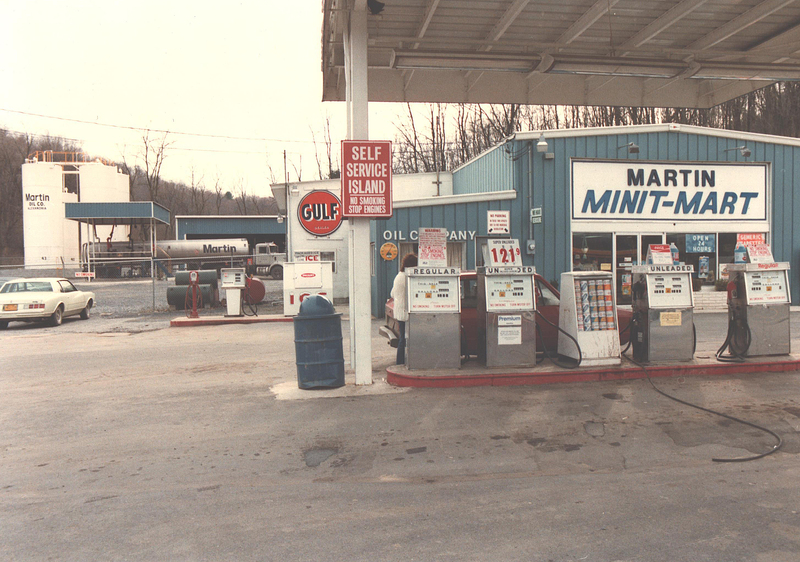 First locations were called MinitMarts. 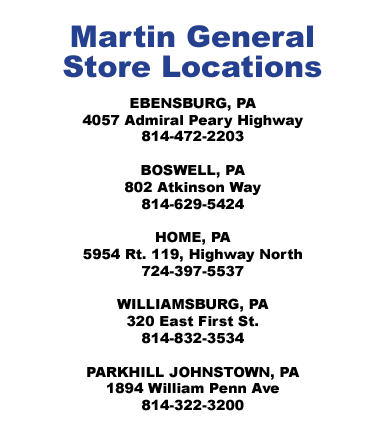 The name "Martin General Stores" was adopted in 1991. We now supply locations that we own, plus many independent stores and stations. 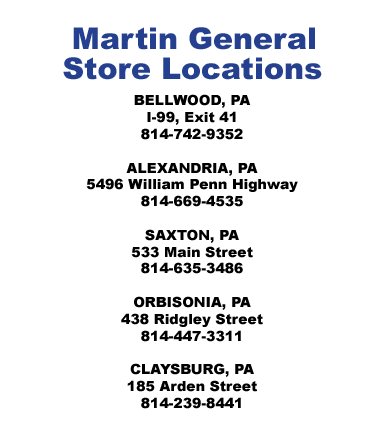 Many retail locations are branded with the blue and gold Martin Gold Star sign. Over fifty years after our founding, Martin Oil Company continues to grow, serving thousands of customers. 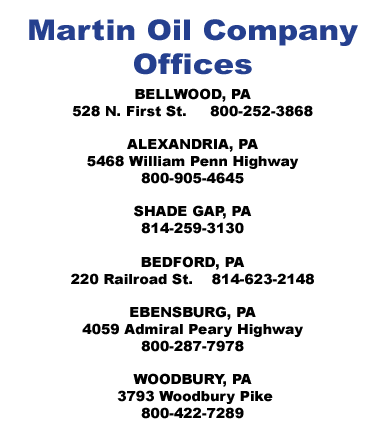 There are now six Martin Oil Company offices, with deliveries extending to many areas beyond. 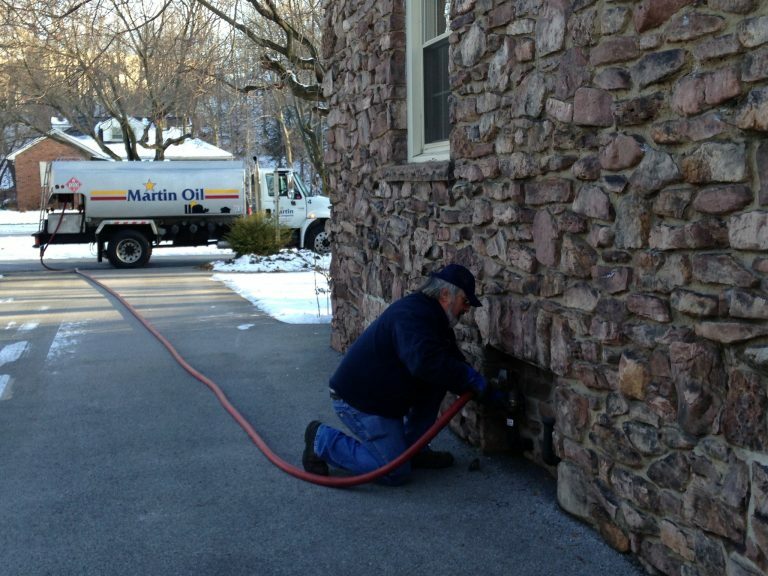 Dependable as Sunrise for over 50 years, Martin Oil Company is a distributor of heating oil, diesel, gasoline and other energy products in west central Pennsylvania and northern Maryland. Customers include homes, farms, and all kinds of business and industry. Deliveries of 100 to 8,500 gallons are made automatically, or when you call. Stores' high quality food--recipes we develop and a brand we own-goes by the name CARGO. CARGO "Good to Go" food includes pizza, breakfast sandwiches, subs, grilled and fried foods, salads and more. Martin Oil owns the Martin Gold Star fuel brand, and Martin Gold Star Fuel Control System. It is important to us to be a contributing member of your community. Whether through heating your home, farm, school or business; offereing REALLY GOOD FOOD; sponsoring a local ball team; or helping a local charity. Pictured to the right is the Saxton Community Tree Lighting. 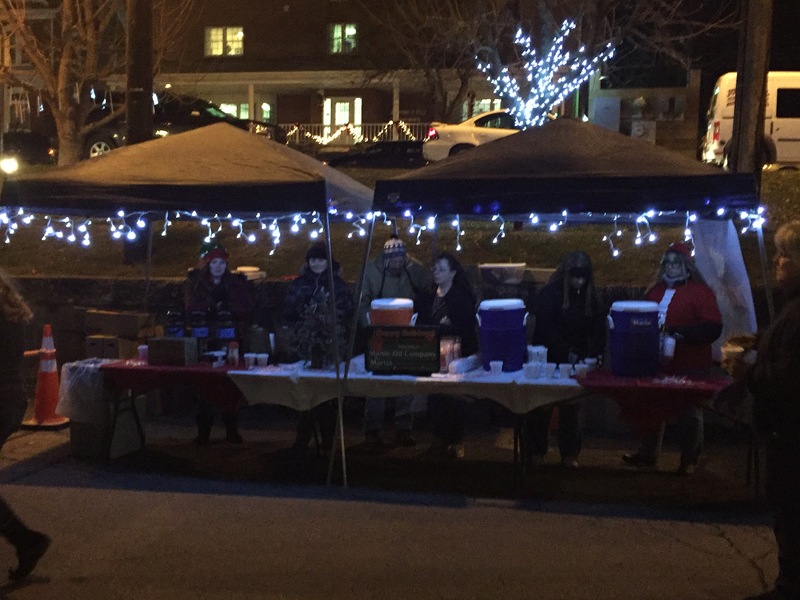 Members of our team annually help serve over 700 cups of hot chocolate during a fun holiday evening!